Russian tycoon and Chelsea Football Club owner Roman Abramovich has been included the list of 2010’s Top Ten world's most active art collectors by ARTnews magazine, published on June 22. Former Chukotka Governor Abramovich certainly has a nose for contemporary art, having spent millions on paintings by Francis Bacon ($86 million) and Lucian Freud ($33 million). 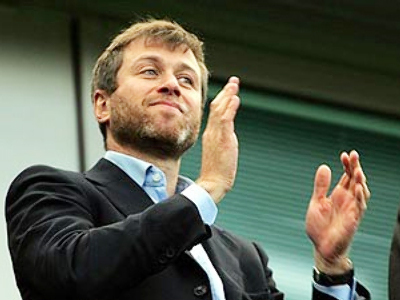 Roman Abramovich, who since 2008 has been buying the world’s most expensive artists and helping his significant other Daria Zhukova with Moscow’s Garage Center for Contemporary Culture, is on the list together with several Americans: investment banker Leon Black with his wife Debra; philanthropists Edythe L. and Eli Broad; hedge fund manager and the founder of SAC Capital Advisors Steven A. Cohen and his wife Alexandra; and US businessman, board member of the Hirshhorn Museum and the National Gallery of Art, Mitchell Rales. Major European collectors who also made it into the Top Ten are: the owner of a major luxury goods conglomerate LVMH Bernard Arnault and his wife Helene; and PPR retail company owner Francois Pinault. Other countries are represented by Saudi Sheikh Saud bin Mohammad bin Ali al-Thani, and Hong Kong billionaire Joseph Lau. Another Russian, oligarch Oleg Baibakov, who founded the Baibakov Art Projects gallery of modern art headed by his daughter Maria, was included in the extended version of the Top 200 most active art collectors. Also on the bigger list are: Ukrainian businessman Viktor Pinchuk; composer Andrew Lloyd Webber; artist Damien Hirst; advertiser Charles Saatchi; fashion designer couple Miuccia Prada and Patrizio Bertelli; and Prince of Liechtenstein Hans-Adam II with his wife Maria. Journalists from ARTnews interviewed collectors, art dealers, auctioneers, directors of museums, curators and advisers from 22 countries to make the 20th list of its kind. The interviewees were also asked about the state of the market following the credit crunch. “As things get better, people with wealth come back into the art market and it gets better faster than the overall economy. And when things deteriorate, our business deteriorates even faster than the global economy. It's faster on the way up and faster on the way down,” Sotheby's CEO William Ruprecht was quoted as saying.